Please read the terms and conditions of the disclaimer carefully. This is a legally binding agreement between you and Green Dhari Seeds Private Limited (GDSPL), establishing the terms and conditions under which this website may be used. By accessing this website, or any pages thereof, and/or using the information provided on or via this website, you agree to be bound by this disclaimer and the terms contained therein. If you do not agree with any of these terms, please do not use this website. Any information contained or referenced in this website is not to be construed other than as an introduction to GDSPL and its products and services. For specific advice and instructions related to our products and services, please contact GDSPL directly. Persons intending to use seed product must read and follow the label accompanying that product and comply with all applicable laws and regulations relating to the use of that product. The information should not be considered complete and should not be used in place of communication and consultation with other sources. The content (material, information, data, news items, etc.) contained on this website is provided for general information only and should not be used as a basis for making business/commercial decisions. You are advised to exercise due caution and/or seek independent advice before entering into any purchase transaction, commitment or obligation based on the content contained on this website. The descriptions, pictures and other representations of products on this website may contain inaccuracies and errors. GDSPL does not make any warranty or representation with respect to the accuracy or completeness of any such information. The content on this website should not be regarded as an offer, solicitation, invitation, advice or recommendation. Products and Services are available only at the discretion of GDSPL, subject to the individual contractual terms and conditions of products and services on which they are offered and such products and services may be withdrawn or amended at any time without notice. The full range of products or services may not be available in all locations. The content contained in this website, including text, graphics, links or other terms are provided on an "as is", "as available" basis and are protected by copyright. You may not distribute text or graphics to others without the prior express written consent of GDSPL. You may not copy, download, publish, distribute or reproduce any of the content contained on this website in any form without prior permission of GDSPL. GDSPL reserves the right to seek all remedies available at law and in equity for violations of the rules and regulations set forth in this website, including the right to block access from a particular Internet address to the website. No information sent to or available on this website shall constitute any representation or warranty by GDSPL, or its holding company, subsidiaries or affililiates regarding the credit-worthiness, financial performance or prospects, solvency, or viability of any company or other legal entity or the business carried on by such an entity. This website may contain advice/ opinions and statements of various professionals/ experts/ analysts, etc. GDSPL does not represent/ endorse the accuracy, reliability of any of the opinions/ statements/ information by such person. Reliance on these statements shall be at the risk of the user of this website. It is the responsibility of the user of this website to independently verify and evaluate the accuracy, completeness, reliability and usefulness of any opinions, services or other information provided on this website. All information in this website is being provided under the condition and understanding that the same is not being interpreted or relied on as legal, accounting, tax, financial, investment or other professional advice, or as advice on specific facts or matters. GDSPL may at any time (without being obliged to do so) update, edit, alter and or remove any information in whole or in part that may be available on this website and shall not be held responsible for all or any actions that may subsequently result in any loss, damage and or liability. Nothing contained herein is to be construed as a recommendation to use any product or process, and GDSPL makes no representation or warranty, express or implied that, the use thereof will not infringe any patent, or otherwise. The user/client is expected to keep abreast of any changes made in this website and the information available on it on a regular basis and GDSPL undertakes no responsibility about advising the user/clients about any such changes. Though GDSPL will endeavour to ensure that information contained on this website is obtained from sources which, it feels, are reliable, GDSPL does not warrant such information's completeness or accuracy. GDSPL controls and operates this website from India and makes no representation that the materials are appropriate or will be available for use in other locations. If you use this website from outside the India, you are entirely responsible for compliance with all applicable local laws. GDSPL , its holding company, subsidiary companies, its affiliates, and their directors and employees (Entities) accept no liability and will not be liable for any loss or damage arising directly or indirectly (including special, incidental or consequential, punitive, or exemplary loss, damage or expenses) from your use of this website or any linked website or inability to use by any party, howsoever arising, and including any loss, damage or expense arising from, but not limited to, any defect, error, omission, interruption, imperfection, fault, mistake or inaccuracy with this website, its contents or associated services, or due to any unavailability of the website or any part thereof or any contents or associated services even if the Entities are advised of the possibility of such damages, losses or expenses. GDSPL and or its licensors retains all rights (including copyrights, trademarks, patents as well as any other intellectual property right) in relation to all information provided on or via this website (including all texts, graphics and logos). This website may contain links to websites of affiliates of GDSPL. This website may also contain links to external websites, having further linked websites, controlled or offered by third parties (Non-Affiliates of GDSPL ), in order to help you find relevant websites, services and/or products which may be of interest to you, quickly and easily. The contents displayed or products / services offered on such linked websites or any quality of the products/ services are not endorsed, verified or monitored by GDSPL. GDSPL is also not responsible for the owners or operators of such external websites or for any products or services they supply or for the contents of their websites and do not give or enter into any conditions, warranties, express or implied; or other terms or representations in relation to any of these or accept any liability in relation to any of these (including any liability arising out of any claim that the content of any external website to which this website includes a link infringes the intellectual property rights of any third party). These terms and conditions are governed by and to be interpreted in accordance with laws of India, without regard to the choice or conflicts of law provisions of any jurisdiction. 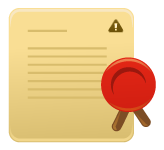 You agree, in the event of any dispute arising in relation to these terms and conditions or any dispute arising in relation to the web site whether in contract or tort or otherwise, to submit to the jurisdiction of the courts located at Hyderabad, Andhra Pradesh, India for the resolution of all such disputes. GDSPL reserves the right to change the information provided on or via this website, including the terms of this disclaimer, at any time and without notice. However, GDSPL shall not undertake to update the content contained on this website from time to time. It is recommended that you review the information provided on or via this website, including the terms of this disclaimer, periodically for changes. GDSPL shall not be held responsible for all or any actions that may subsequently result in any loss, damage and or liability on account of such change in the information on this website. GDSPL does not routinely monitor postings to the website but reserves the right to do so. However, in our efforts to promote good citizenship within the Internet community, if GDSPL becomes aware of inappropriate use of the web site or any of its Services, GDSPL will respond in any way that, in its sole discretion, GDSPL deems appropriate. You acknowledge that GDSPL will have the right to report to law enforcement authorities any actions that may be considered illegal, as well as any information it receives of such illegal conduct. When requested, GDSPL will co-operate fully with law enforcement agencies in any investigation of alleged illegal activity on the Internet. Submissions and unauthorised use of any materials contained on this website may violate copyright laws, trademark laws, the laws of privacy and publicity, certain communications statutes and regulations and other applicable laws and regulations. You alone are responsible for your actions or the actions of any person using your user name and/or password. As such, you shall indemnify and hold GDSPL its affiliates and their respective directors, officers, employees, agents, licensors and business partners harmless from and against any and all loss, costs, damages, liabilities, and expenses (including attorneys' fees) incurred in relation to, arising from, or for the purpose of avoiding, any claim or demand from a third party that your use of the website or the use of the website by any person using your user name and/or password (including without limitation your participation in the posting areas or your Submissions) violates any applicable law or regulation, or the rights of any third party. You agree to defend, indemnify and hold harmless GDSPL, its affiliates and their respective directors, officers, employees, licensors and business partners and agents from and against all damages, claims and expenses, including attorneys' fees, arising out of your use of this website or misuse of any information taken from the website or your transmission of information, data, material or content on the website. GDSPL reserves the right to terminate access to this website at any time and without notice. Further this limited license terminates automatically, without notice to you, if you breach any of these Terms. Upon termination, you must immediately destroy any downloaded and printed materials. GDSPL may change the terms and conditions and disclaimer set out above from time to time. By browsing this website you are accepting that you are bound by the current terms and conditions and disclaimer and so you should check these each time you revisit the web site. GDSPL may change the format and content of this website at any time. GDSPL may suspend the operation of this website for support or maintenance work, in order to update the content or for any other reason whatsoever. If any provision of these legal notice / disclaimer shall be declared by a court to be invalid, illegal, or unenforceable, such provision shall be deemed severable from these legal notice / disclaimer and the other provisions shall remain in full force and effect. The failure of GDSPL to exercise or enforce any right or provision of these legal notice / disclaimer shall not constitute a waiver of such right or provision. GDSPL reserves all other rights.